Keeping it short and sweet today and I'm sharing my latest YouTube video! 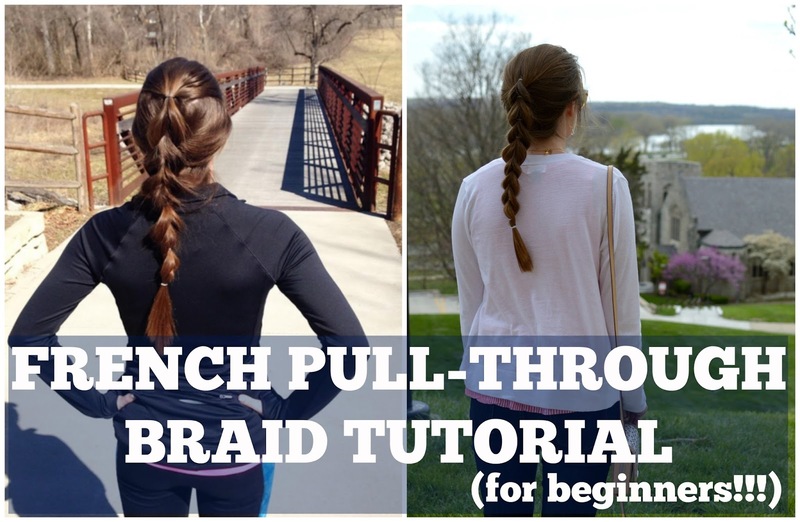 This french pull through braid is one of my favorite hair styles, and I've finally figured out how to do it in under 5 minutes. (I have timed myself out of curiosity before haha.) Are you subscribed to my YouTube channel yet? If not, do so here! I would love if you would click into the video and give it a thumbs up as it helps me with search results! I have some fun videos planned for the upcoming weeks, including a travel diary, so make sure you are subscribed! Want to see where we're heading for our vacation for that video? Make sure to follow along Instagram! 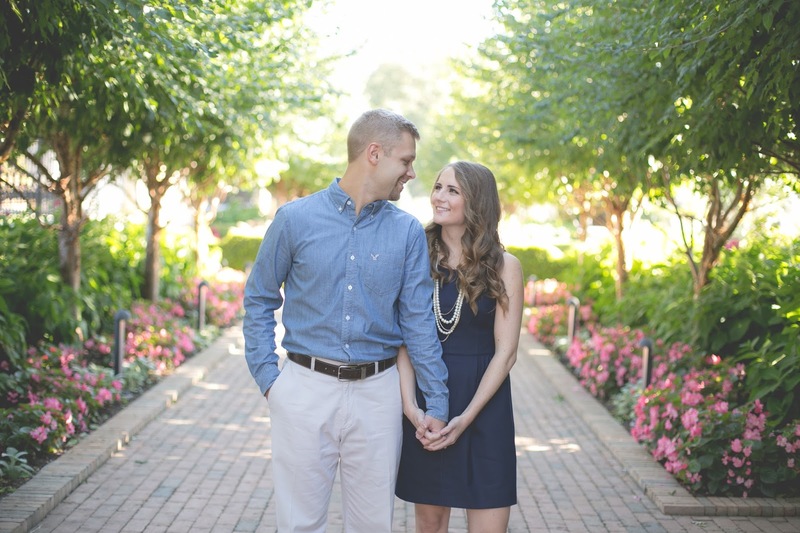 Today I am wrapping up the wedding posts for the month with a post all about engagement pictures! I was on the fence about taking engagement pictures when we got engaged as I just was not sure we really needed them. However I am SO glad we have them! 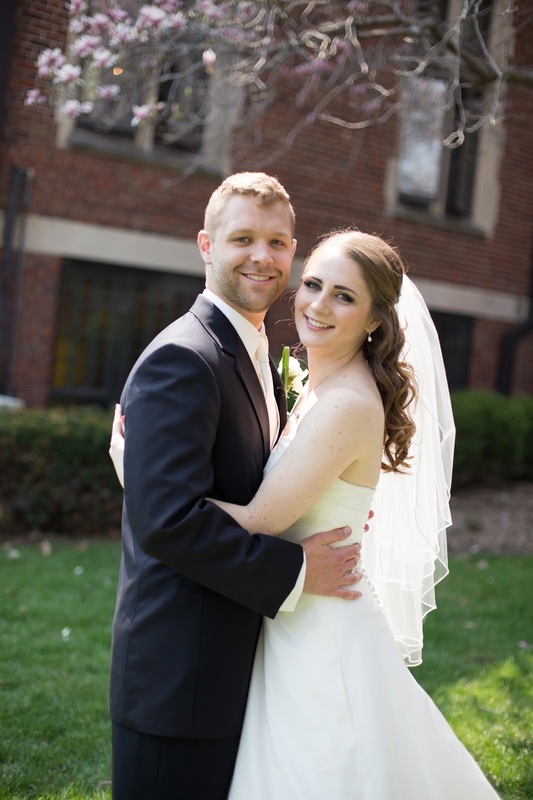 It's nice to have some casual pictures of Tyler and I that were not taken on an iPhone and it gave us a chance to get to know our photographer, Tina Norman of In His Image Weddings, better. 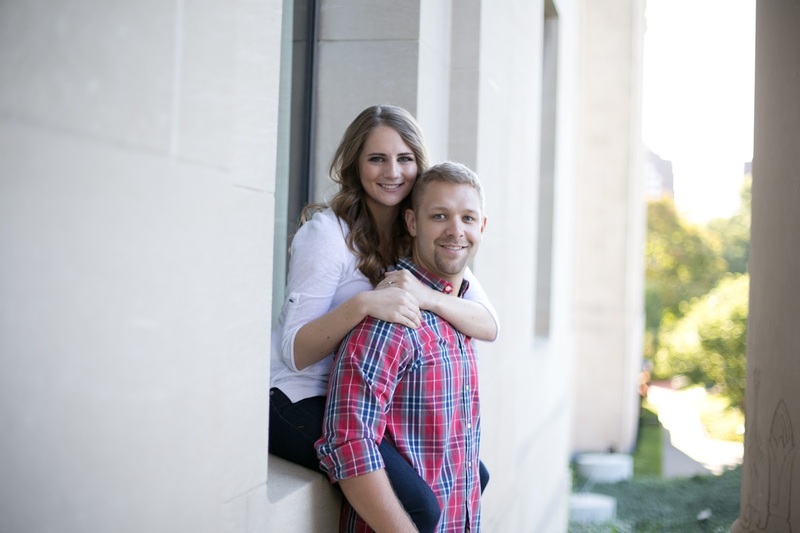 If you would like to see more of our engagement pictures, head here! 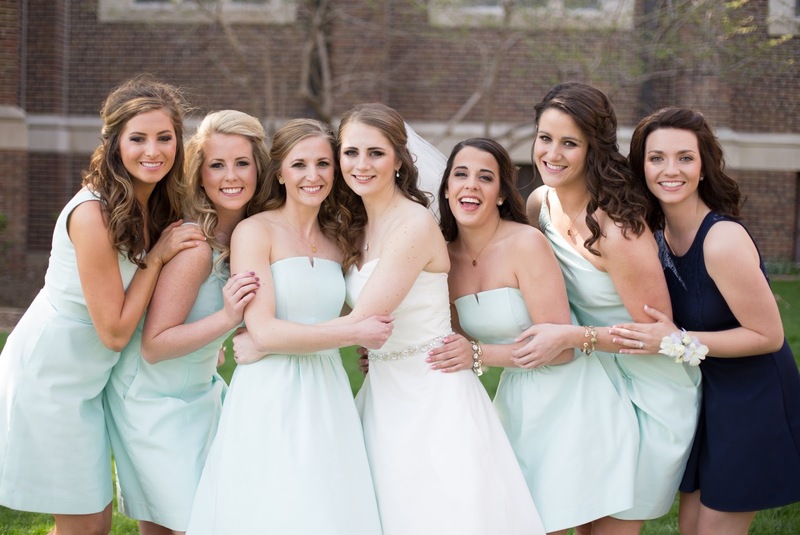 In today's post, I am going to be talking all about what to wear for your pictures. Tyler and I only did two outfits, but I have some friends who did three. 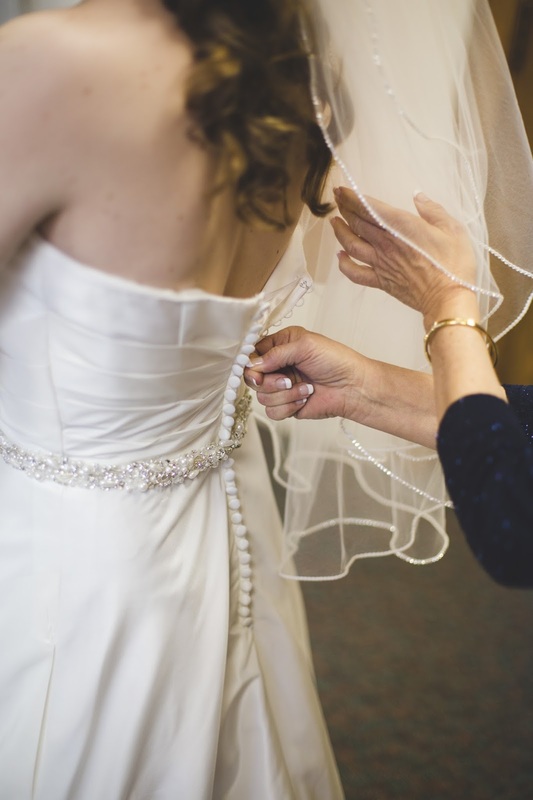 Our photographer did not put restrictions on our number of outfit changes, but some may so make sure you look at that when you are planning what to wear! Additionally, you will want to make sure you include the time it will take for you to change when making your schedule for the day of pictures. The last thing you want is to run out of time for actual pictures because you spent too much time changing and touching up your makeup or hair! Engagement pictures are a great excuse to dress up and take pictures. I think it's important for at least one of your outfits to be more on the fancier side. However, how fancy you go should depend on you as a couple. 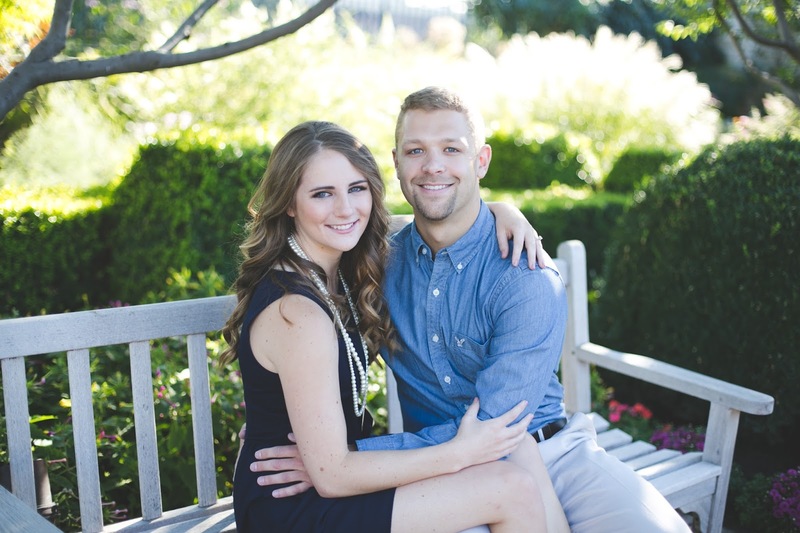 If you typically wear cocktail dresses and your guy sports a suit frequently, that would make sense for your pictures. Or maybe you aren't a dress fan, and dressed up to you means a pair of nice slacks and a blouse. Whatever your style may be, try to choose one fancier outfit. Tyler and I opted for khakis and a button down for him and a nice shift dress for me. It was fancier, but still felt like us. When choosing your outfits, stay in the same color family. Tyler and I both have blue eyes, so whenever we wear blue it makes our eyes pop. It made choosing a color scheme for this outfit pretty easy haha! Pick a color you feel comfortable in, but also something that coordinates with what your fiance is wearing. You should look like your are paired together. Make sure you pick comfortable clothing as you will most likely be walking around, sitting down, standing up, etc. I would also recommend staying away from anything too trendy for your engagement pictures. This is just a personal preference, but I wanted our pictures to have a classic feel and I did not want to date them by wearing anything too trendy. For You: Shift dress, fit and flare dress, midi skirt and a blouse, dress pants and a blouse, etc. For Him: Khakis and a button down, a suit, dress pants and a sport coat, etc. *Add your style to your outfit through accessories. Think jewelry for you and suspenders, a vest, a tie, cuff links, etc. for him! If you dress up in your first look, I think your second outfit should be casual. Like I mentioned above, I love having nicer pictures of Tyler and I that weren't taken on an iPhone. What you wear here will depend on the time of year you take your pictures, as it wouldn't really make sense to be in jeans, a sweater, and boots in the middle of July! (If you can smile through the heat in that more power to ya haha.) 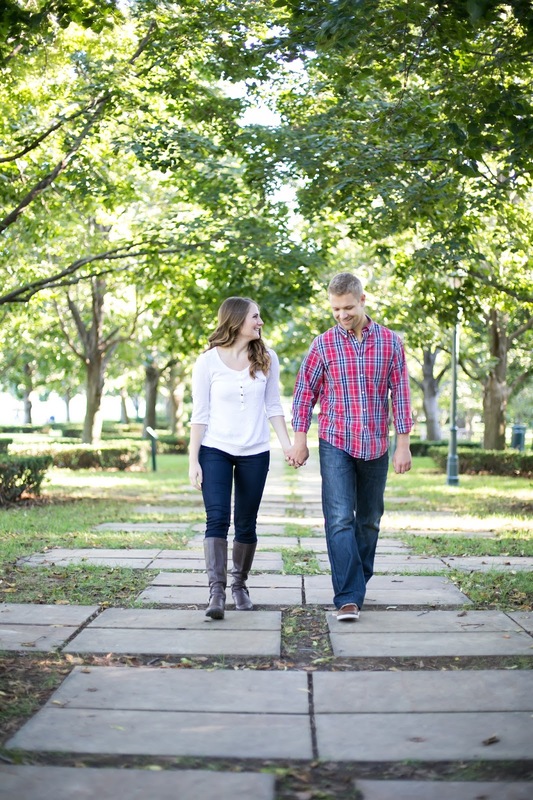 Tyler and I took our engagement pictures in September so it was the start of fall, which made it perfect weather for jeans,flannels, and boots! For these pictures, we stated with Tyler's outfit and chose the flannel he would wear first. This way, I could choose a top that matched one of the colors in his shirt. Fun fact, I was actually supposed to wear a different top for these pictures but got something on it while I was packing it to leave for pictures so I had to choose something random before we left haha! I personally really like how it looks for one person to be in a patterned top and the other person to choose a top that matches a color in it. I think they look really nicely together. The pattern adds visual interest, and as long as the other person is in something plain it won't make the pictures too busy. For You: Jeans and a plain top, a casual dress, sun dress, etc. For Him: Jeans and a flannel, shorts and a polo, jeans a plain shirt, etc. *Play with color here and accessorize for the season! Tyler and I did not take any pictures in a third outfit as we just did not see the need. However, I do know quite a few people who have taken three outfits! You could easily do one more casual outfit or one more fancy outfit. Just switch up the colors and picture location so that the outfit change makes sense. I personally have seen many people do a third outfit in something more personal to them. For example, if you are taking pictures on your college campus where you met, both wear a college t-shirt. Or, if you are huge fan of a sports team and they are a big part of your life and relationship, wear a shirt for your team. One of my best friends is an Oklahoma fan and her husband is a Nebraska fan so they took pictures in their respective shirts and they turned out so cute! A girl I work with and her fiance bought a house right before their engagement pictures and ended up taking some in their new house which was such a fun idea! I think it's important for your engagement pictures to reflect your relationship, and this third outfit is a great way to show who are you are as a couple. 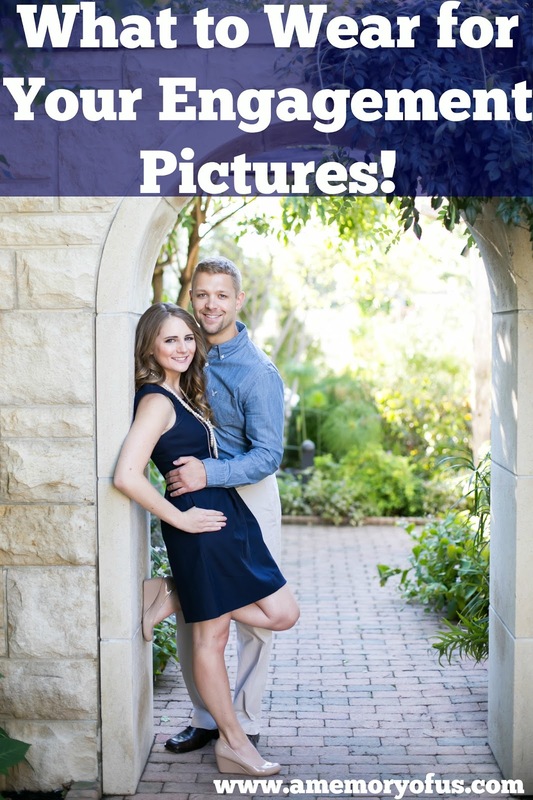 I hope this post helped you choose an outfit for your engagement pictures or just couple pictures. I really love our engagement pictures and keep telling Tyler that I want to book a session with our photographer again just to take some more pictures even though we don't have any special occasion haha! Due to the Pantone colors of the year this year, I feel like all pastels are really having a moment right now. You can find pastels from clothing to accessories to make up and more! I recently received these lilac shorts and I think the pastel purple is SO pretty. I haven't seen too much of this color before, and I really like it. After I wore these, I was browsing online for more pieces in this color because I like it that much haha! (The detailing in this lilac tank is soooo pretty.) This color is perfect for spring and summer. There are many colors you could opt to pair with these shorts as I feel like the color is pretty close to a neutral. I chose this indigo sweater and love how the two colors go together. These shorts would go great with white or black for s simpler look, but I also think olive green would look great! Banana Republic provided me with free items for this post. All opinions are my own. Once a season, I like to look book at some of my favorite looks from the same time last year. Below are some of my favorite looks from last spring.Of course, not all of the pieces are available anymore, but I linked similar ones when the exact pieces were not available. Which one is your favorite? Louis Vuitton + Designer Sunglasses + Gold iPad Mini Linking up with Meet at the Barre. A nice white top is a spring wardrobe essential for me. (Last year I bought this scalloped top which I'm still obsessed with!) This year, I wanted to add a lace piece to my wardrobe. I immediately fell in love with this top when I laid eyes on it. It has the prettiest detailing. The neckline is what caught my eye, but I really love the hemming. There is so much visual interest to this top. I paired it here with some dark blue jeans, but how pretty would it look with white jeans for a white on white look!? As I'm writing this post, the top is currently on sale making it only $39! I am hoping it is still on sale for you as this post goes live tomorrow! If you like it, you can shop it here. P.S. Have you entered this amazing giveaway yet?! 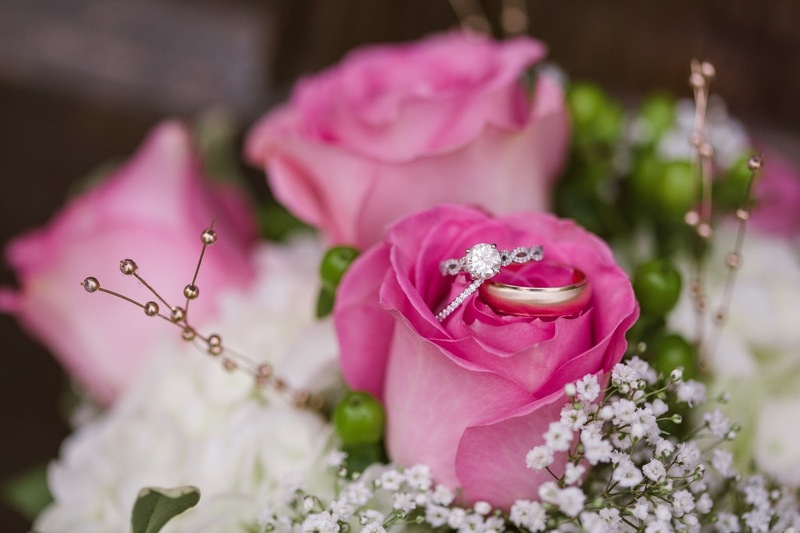 In keeping with the wedding theme this month, today's post is all about planning your honeymoon! (One of the best parts of planning, in my opinion haha.) 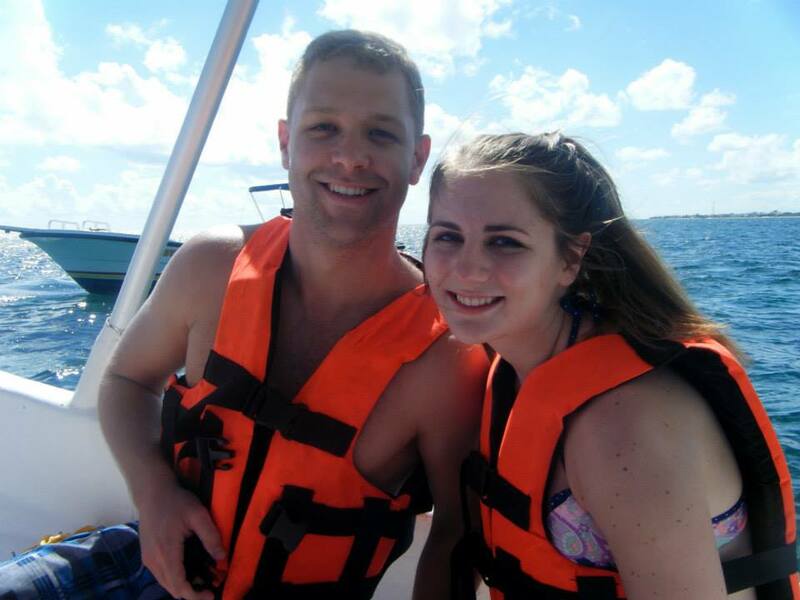 Tyler and I went to the Dominican Republic for our honeymoon. 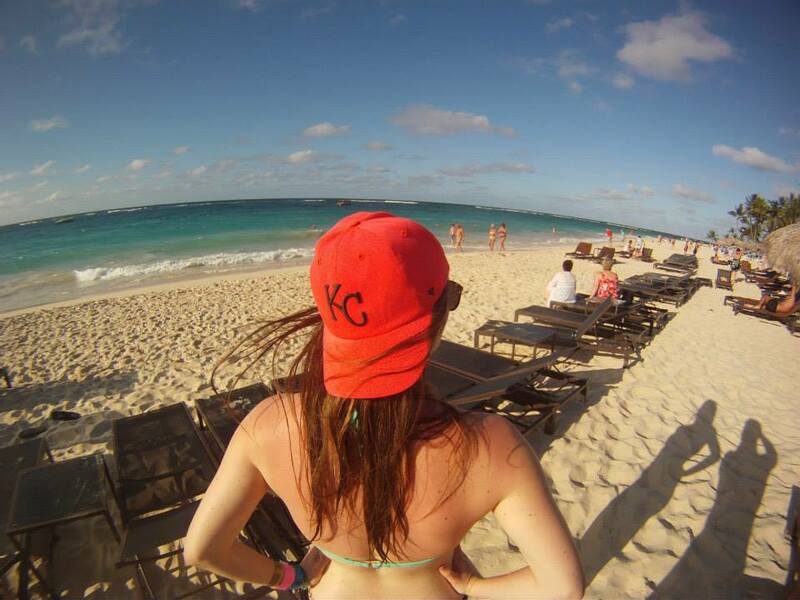 You can read all about our trip here and watch our Dominican Republic travel diary here. We chose an all-inclusive resort for our honeymoon. This was actually our second time to an all-inclusive resort. We had previously gone to Mexico with some friends. It is easy to get overwhelmed when looking at resorts because they all look amazing. Below are some of my tips that I share with any friends or family when they ask how to choose an all-inclusive resort. Your honeymoon (or any vacation, really) should be perfect, and hopefully you will love your resort if you follow these tips! 1. Use TripAdvisor: I use TripAdvisor pretty much for every vacation. It helps pick a hotel, tourist activities, restaurants, and more. 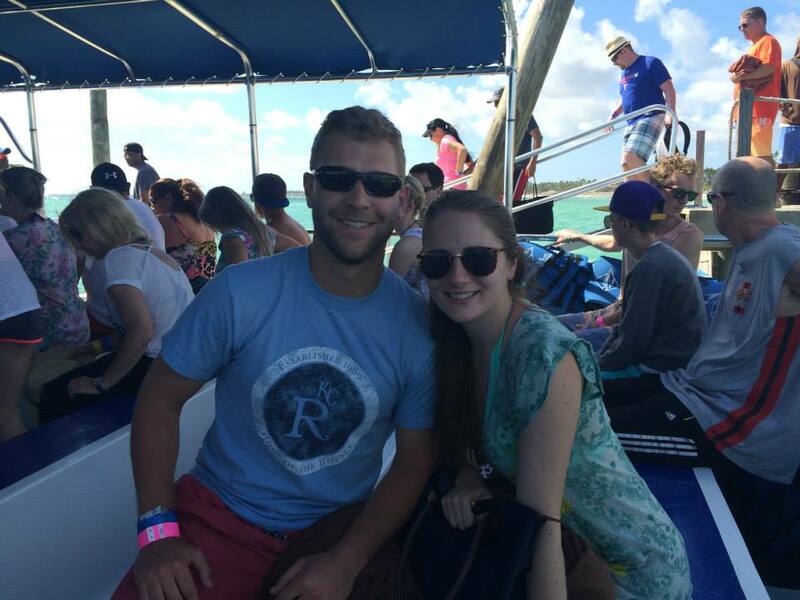 (We used this frequently for choosing restaurants during our recent trip to the Cayman Islands.) I think the most important thing to use TripAdvisor for is to see pictures of the resort. Hotel and other travel websites are using the best photos possible. There normally isn't anyone in them, they are very staged, they only show the good. I love looking at TripAdvisor's traveler photo section for a resort. It shows you pictures that other guests have taken there, so you can get a real idea of what the resort and grounds look like. Reviews of the resort are also helpful, however I suggest you take them with a grain of salt. Some of the complaints I have read about a resort before on there seemed very trivial to me. However, if I notice more than 2 negative reviews on the first page (which is the most recent reviews) it definitely gets my attention and makes me want to investigate it further. 2. How many restaurants does your resort have? This is an important thing to look at, especially if your trip is longer. Some resorts we looked at only had three restaurants, so we immediately tossed them out of the running. This could potentially work if you were only going for three nights or something, but you would definitely be bored and ready for something new if you were staying longer. Typically, one of those restaurants is a buffet that is open for breakfast and lunch, so really that leaves you with two choices for dinner. I would recommend choosing a resort that has enough variety so that you don't have to repeat a restaurant for dinner ever. (Or if you do have to repeat, hopefully it's only one night!) If you head to a resort's website, they will typically list out all of their restaurants so you can see the variety. If you are looking on Southwest Vacations, Cheap Caribbean, etc. they normally only say something like 4 restaurants, so make sure you head to the resort's website to confirm. 3. What is the night life like? This is something we learned after our trip to Mexico. We loved our resort, but it only had the lobby bar open each night. The resort itself actually had something like 3 or 4 bars, but one of them was a swim up bar, so it was closed at night, another one was outside of a different pool so it was also closed at night, etc. (They did have other activities going on, but for the most part there was only one area to hang out.) We definitely paid more attention to this when booking our honeymoon. I would look into the resort to see what their entertainment is like in the evenings, outside of the bar scene. For our honeymoon, our resort had a casino, a fire show on the beach one night, live music by the pool, a different music/dance show each night in a auditorium, as well as a sports bar and dance bar! We were definitely entertained each and every night. 4. How far away is the airport from your resort? Once you get to the airport, you will have to take a shuttle of some kind from the airport to your resort. Tyler and I always look at how far away the resort is from the airport, because once we land we just want to be there and on the beach. Typically traveling to a tropical destination is a long day of travel because you fly out so early. Then you have to go through customs, get your baggage, etc. Some resorts are only about a 20 minute drive from the airport whereas others are more than an hour. Another thing to consider here is private transportation or shared transportation. Each time Tyler and I have been to the Caribbean, we have done shared transportation but paid to be the first drop off. This means we are in a van with other people, but our resort is the first stop from the airport and the last stop on the way to the airport. If you don't do this, even if your resort is only 30 minutes from the airport, you could be in the shuttle longer because you are dropping other people off on the way. If you really love a resort and it's far away, just make sure you plan to spend the time in the car. If Tyler and I are in between two resorts and everything else about them is the same, we will pick the one with the least amount of time in the car once we land. 5. Kids versus Adult Only: Both of the times we have been to the area we went to a "kids welcomed" resort (for lack of a better term). We had looked at a couple adults only resorts, but ultimately liked the grounds, the pools, etc. of the ones that didn't have any restrictions more than the adults only resorts. Neither time have the kids bothered us, so it's never been an issue for us. However, if you are a teacher and work with kids every day you may welcome the break and really love the adults only atmosphere. I can't really speak to this because I have never been to one, but if you want to ensure there are no children around, or bring your family, you will want to choose a resort accordingly. 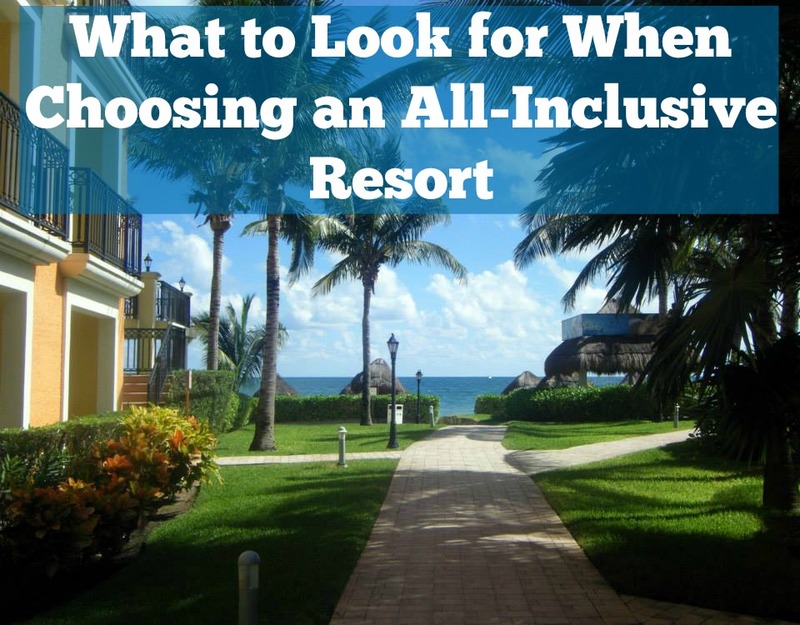 Those are my top five things to consider when choosing an all inclusive resort! After reading this, I am definitely thinking I may need a beach vacation before the year is over haha. One other thing is that Mexico is typically cheaper than the other beach destinations you may be considering. If you are trying to do a honeymoon on a budget I would start looking there first! If you follow me on Instagram, then you saw a sneak peek of this top over the weekend. It was on mega sale for only $9! It is currently still on sale, so if you like it you absolutely must pick it up. It comes in other colors, too. (For some reason my link takes you to tall sizing, so make sure you switch to the regular sizing to see all in stock sizes as tall is already sold out of quite a bit!) I was at a piano bar this past weekend with some friends and one of my other friends was also wearing this top, but in black! It is so cute in each color so I am definitely considering scooping up another one while it is at that price. I went for a springy look with a white cardigan, a cork bag, and my favorite Tory Burch sandals. All are some spring wardrobe essentials, if you ask me! Also, I will be filming a tutorial for this french pull through braid this weekend, so if you are curious about how I do it, make sure you are subscribed to my YouTube channel! If you've followed my blog for awhile, then you know I am no stranger to a good black and white look. I think it's a fail proof combo! When I recently received this skirt, my first instinct was to keep in the color palette of the skirt and just add a solid black top. I absolutely love how it looks, especially with the pop of turquoise from my earrings. I love the bold pattern of this skirt. The detailing is SO pretty. Bold stripes are predicted to be a big trend for the summer, so I know I will get a lot of use out of this skirt. I think it would be fun to dress it down with a more casual top and some flats. I love that a piece that I will get so much wear out of is so "in right now". I've had my eye out for more stripes. Seriously if you've never browsed through Nylon' fashion page you need to check it out. One of my other favorite trends right now is off the shoulder tops and dresses. (Remember this post?) It's such a fun and flirty trend. Off the shoulder pieces and other boho pieces were huge last year and they still are. One summer trend that I want to try is a top or dress with bell sleeves! How about you? Before you go, make sure you enter this amazing giveaway I am hosting with some other bloggers! 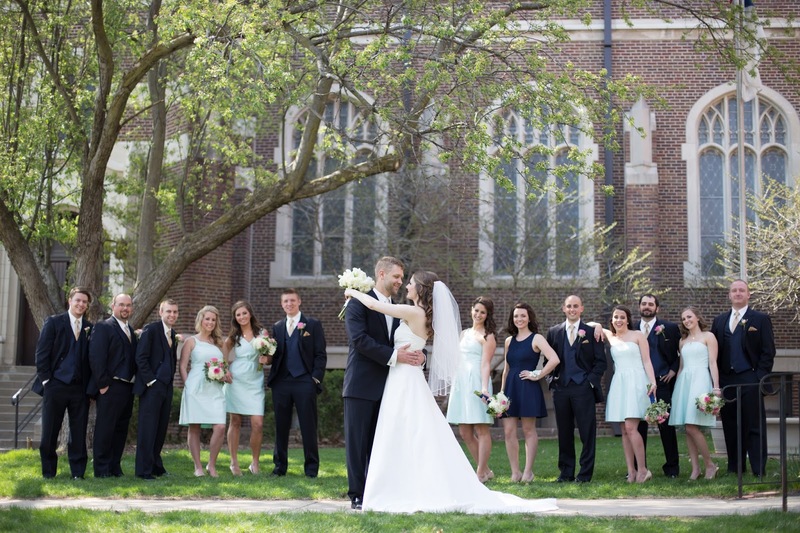 One year ago today, Tyler and I were married! 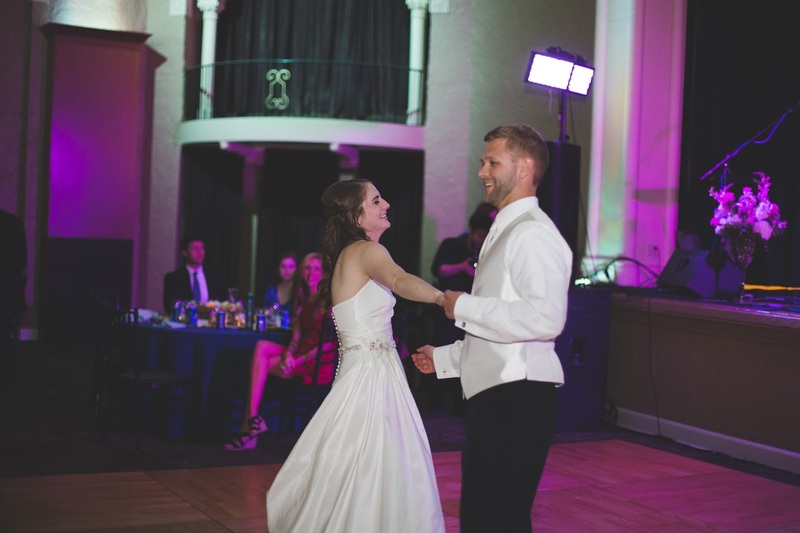 It was truly the happiest day of my life. 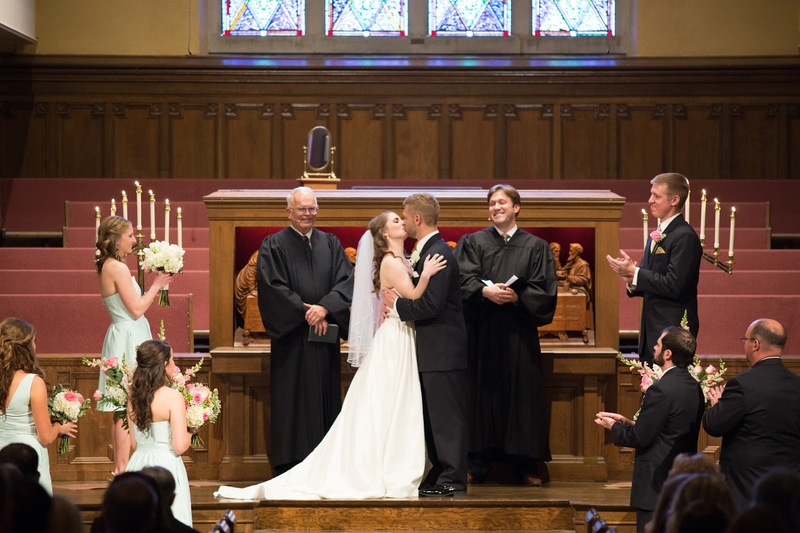 Married life has been amazing. There is no one else I would rather have by my side. One year down, forever to go. 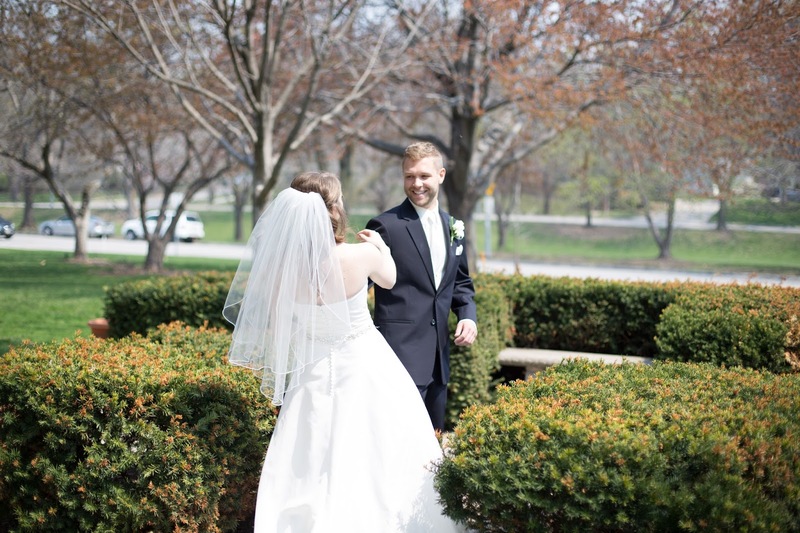 Above are some of my favorite pictures of us from our wedding day. 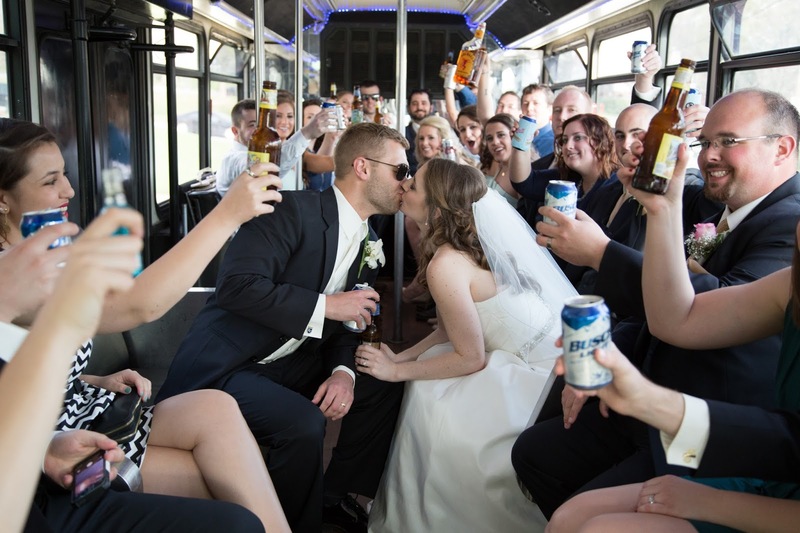 I have done two other posts featuring our wedding photos. 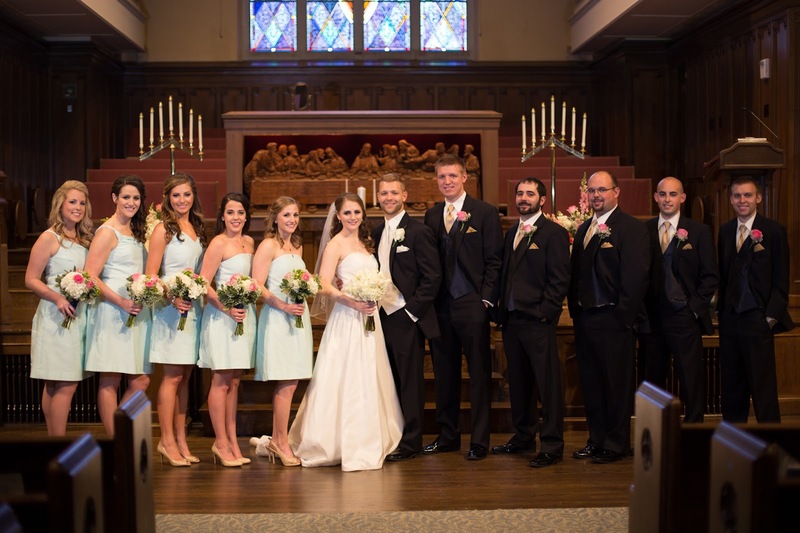 This post is all pictures of the people on our big day and this post is all about the details. 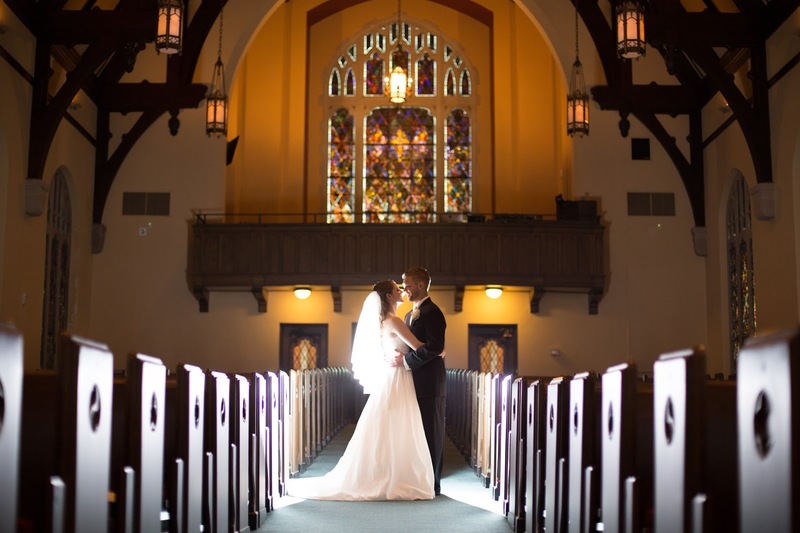 Our photographer was Tina Norman from In His Image and I truly loved her. I would recommend her to anyone looking for a photographer; local or not. 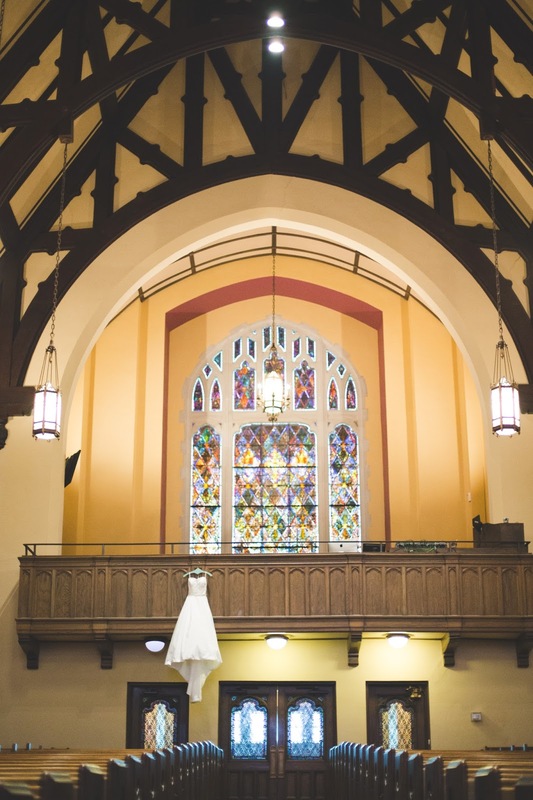 To learn more about our wedding, head here.